Oregon, USA: Dream catchers are objects usually to be found in new age or pagan shops. They are said to originate in Native American Indian beliefs concerning how positive and negative dreams can be 'filtered' through a web in which nightmares are 'caught' and positive dreams are 'let in'. As such these objects fall into the category of 'magic and superstition'. Despite this, however, one Catholic priest has noted a worrying rise in his flock adopting this superstition in a bid to make the 'nightmares' stop. 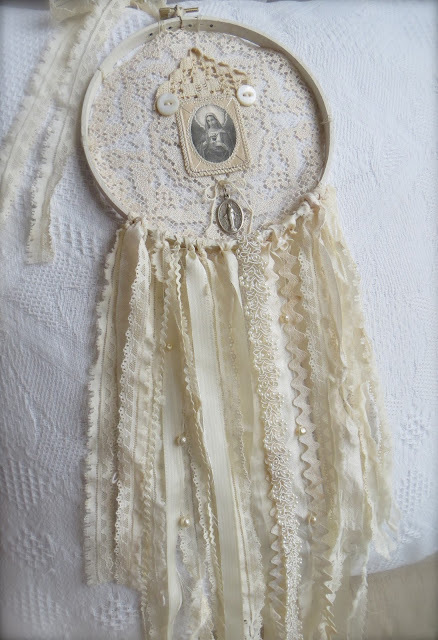 The priest, who did not want to be identified, said, "Since March 2013, there appears to have been a boom in the popularity of these objects, which are often 'Christianised' or brought into a Marian spirituality. I have warned my parishioners that the Catechism of the Catholic Church rejects and condemns even superstition even when embraced by the faithful for seemingly pious reasons." He continued, "One parishioner told me she had bought one because a recurring nightmare keeps haunting her. In the nightmare a man dressed in white with a Latin American accent comes up to her and tells her to give up her faith, imploring her to accept a humanistic version of it in which Christ's Divinity is stripped away. The man dressed in white, in her nightmare, frequently gives ill-advised and confusing interviews to an atheist journalist and regularly takes to insulting her with such venomous attacks as, "Pelagian! Sayer of prayers! Restorationist! Rosary counter! Christian bat!" At the end of this tirade, he tells me that there's a one in fifty chance my parish priest is a paedo." The priest stood firm in his condemnation of the 'Marian Dream Catcher' and said, "As you can imagine, it took all the pastoral experience, tact and patience I have in order to reassure her that this was not a 'nightmare', but a waking daily reality that for the time being she must live with. She was very upset, but I counselled her not to have recourse to superstition, but draw closer every day to Our Lady and her Divine Son, the Immaculate and Sacred Hearts of whom can lead us, at this difficult time, to find shelter not in superstitious objects, nor even in the reassuring words of mortal men, but in the consolations of God. Instead of falling into superstition, let us fall on our knees and pray." You are brilliant. You had me going there for a bit. Those lunatics in Oregon are known for a lot of things. The March 2013 slipped by me, but you had me in hysterics with "man dressed in white with a latin American accent. Tee hee hee. Must say that's a very pretty dream catcher . Perhaps a giant bad-waking-dream catcher in the stratosphere directly above st martha's world media centre is what's called for. LOL. I was conned for the first couple of paragraphs. Seriously, I am increasingly finding the rosary and Eucharistic adoration helpful. Just an aside - St. Joseph Indian School, in South Dakota, periodically sends out Dreamcatchers to people who donate money to them. Her dream might be a true dream about Bergoglio. Check the details, some will not appear, or not yet, but check if a single of them has been very clearly contradicted by the behaviour of that man since he stepped into the Vatican.